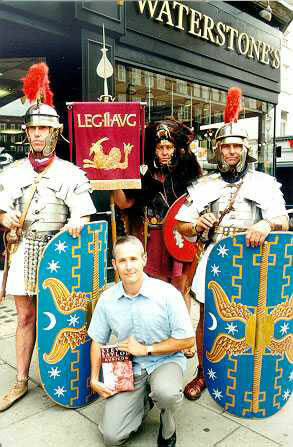 STEVEN SAYLOR is the author of the ROMA SUB ROSA® series of historical mysteries featuring Gordianus the Finder and set in the ancient Rome of Cicero, Caesar, and Cleopatra. The novels, in publication order, are: ROMAN BLOOD (1991), ARMS OF NEMESIS (1992), CATILINA’S RIDDLE (1994), THE VENUS THROW (1995), A MURDER ON THE APPIAN WAY (1996), RUBICON (1999), LAST SEEN IN MASSILIA (2000), A MIST OF PROPHECIES (2002), THE JUDGMENT OF CAESAR (2004), and THE TRIUMPH OF CAESAR (2008). The latest novels in the series are prequels about the travels and adventures of Gordianus in his youth: THE SEVEN WONDERS (2012), RAIDERS OF THE NILE (2014) and WRATH OF THE FURIES (2015). Steven is also the author of the international bestseller ROMA: THE NOVEL OF ANCIENT ROME (2007) and EMPIRE: THE NOVEL OF IMPERIAL ROME (2010). These two epic novels comprise a multi-generational saga that spans the first 1200 years of the city, from Iron Age trading post to the height of empire under Hadrian. A third novel in this series is currently in the reseach stage. 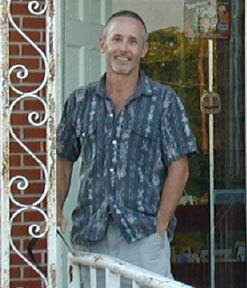 Steven has also written numerous short stories in the Roma Sub Rosa series. The first, A Will Is a Way, won the 1993 Robert L. Fish Award from the Mystery Writers of America, given each year for the best debut short story in the mystery genre. All the Gordianus short stories have been collected in two volumes, THE HOUSE OF THE VESTALS (1997) and A GLADIATOR DIES ONLY ONCE (2005). Outside the Roman books are two novels set in Steven’s native Texas. A TWIST AT THE END (2000) is based on America’s first recorded serial murders, which terrorized Austin, Texas in 1885. The chief protagonist is young Will Porter, who later became famous as O. Henry. HAVE YOU SEEN DAWN? (2003) is a contemporary thriller set in a small Texas town not unlike the one where Steven grew up. A TWIST AT THE END received the Violet Crown Award from the Writer’s League of Texas. In 2014 Steven was inducted into the Texas Institute of Letters. Steven’s books have been published in 22 languages: English, French, Dutch, German, Spanish, Czech, Russian, Finnish, Norwegian, Portuguese, Brazilian-Portuguese, Polish, Greek, Magyar (Hungarian), Serbian, Swedish, Turkish, Danish, Korean, Indonesian, Romanian, and Thai. Book tours have taken him to many cities in the United States and the United Kingdom, and to Berlin, Amsterdam, Lisbon, Budapest, Oslo, and Madrid. Steven has appeared in two television documentaries shown internationally on The History Channel: the series ANCIENT ROME: STORY OF AN EMPIRE, first broadcast in 1998, and CRIMINAL HISTORY: ANCIENT ROME, first shown in 2005. 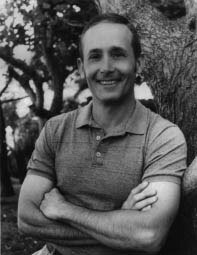 In 2014, as author of A TWIST AT THE END, he appeared as an “expert witness” in the episode "The Texas Servant Girl Murders” on the PBS series HISTORY DETECTIVES: SPECIAL INVESTIGATIONS. Steven has spoken at Stanford, Rice University, UC Santa Cruz, UC Davis, San Francisco State University, the University of Pennsylvania Museum of Archaeology and Anthropology, the University of Texas at Austin (his alma mater), the University of Oslo in Norway, and the University of Hull in the UK (hosted by the Philip Larkin Centre). He has addressed national and state conventions of the American Philological Association, the American Classical League, the Junior Classical League. 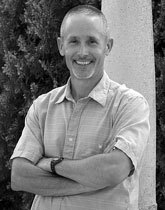 In 2002, Steven delivered the inaugural commencement address to the Classics Department at the University of California at Berkeley. (Click here to read his speech.) In 2008, he spoke at the Getty Villa (to see the discussion, click here) and was an invited speaker at ICAN, the International Conference on the Ancient Novel, in Lisbon (click here to read his paper). In 2014, he delivered the keynote address at the 110th annual meeting of the Classical Association of the Middle West and South, meeting in Waco. Also in 2014, he was an invited speaker at the conference “From I, Claudius to Private Eyes: The Ancient World and Popular Fiction” at Bar-Ilan University in Tel Aviv. In Austin, Steven has spoken on multiple occasions at the Texas Book Festival, UT LAMP, the Austin Woman’s Club, and the Austin Knife & Fork Club. Why ancient Rome for a setting? Steven was born in Texas in 1956 and graduated with high honors from the University of Texas at Austin, where he studied history and Classics. 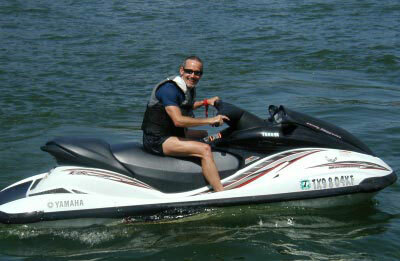 He divides his time between homes in Berkeley, California, and Austin, Texas. Clockwise from upper left: Chilling on Lake LBJ, August 2005 • With Roman legionnaires in Kensington High Street, London, July 1999 • On the steps of his boyhood library in Goldthwaite, Texas, in November 2007; Steven spoke at a fundraiser to build a new library on the site of the Saylor Hotel • Blowing off steam at Barton Springs in Austin, August 2001. 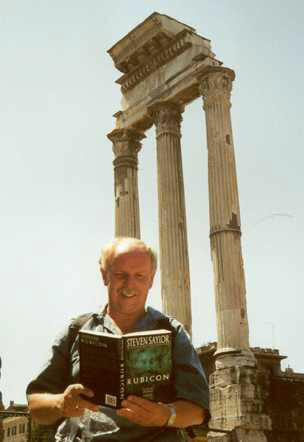 Gordianus fan Ben Zweverink of Amsterdam read the Dutch edition of RUBICON on location in the Roman Forum. Thanks for the photo, Ben! A Twist at the End: A Novel of O. Henry, Simon & Schuster, March 2000; St. Martins Minotaur paperback edition, 2001; British edition (titled Honour the Dead), 2001; UK paperback edition, 2002; Portuguese edition (Volte-Face), 2004; Hungarian edition (A Holtek Méltósága), 2013; winner, Violet Crown Award from the Writers League of Texas; excerpted in Lone Star Sleuths: An Anthology of Texas Crime Fiction ed. by Cunningham, Davis, & Newsom (University of Texas Press, Nov. 2007); Roma Sub Rosa Press Kindle and Nook editions, 2014; iBooks edition, 2015. Have You Seen Dawn?, Simon & Schuster, February 2003; UK edition, March 2003; US large-print editon (Thorndike Press), 2003; UK large-print edition (Chivers Press), 2003; UK audiobook, forthcoming; Dutch edition (Amethyst Texas), April 2004; Roma Sub Rosa Press Kindle, Nook and Ibooks editions, 2015. Insecticide, The Magazine of Fantasy & Science Fiction, December 1986; Roma Sub Rosa Press Kindle • Nook • Ibooks editions, 2013. Kinder, Gentler, The San Francisco Bay Guardian, May 10, 1989 (vol. 23 #31); reprinted in The James White Review, vol. 16, no. 3, Summer 1999; reprinted in A Casualty of War: The Arcadia Book of Gay Short Stories, edited by Peter Burton (Arcadia Books, London, 2008); Roma Sub Rosa Press Kindle • Nook • Ibooks editions, 2013. *+Death Wears a Mask, EQMM, July 1992; anthologized in The Mammoth Book of Historical Detectives, ed. Mike Ashley, Robinson (London), 1995, Carroll & Graf, 1995; reprinted in Crime Time, issue 2.1 (1998); translated into German as Der Tod trägt eine Maske for the German edition, Räuber, Schurken, Lumpenpack, Bergisch Gladbach (1998); anthologized in Dutch translation as De gemaskerde dood in Vijf Historische Speurders, De Boekerij, Amsterdam (1996); anthologized in Swedish translation as Döden bär mask in 13 lektioner i brott (13 Lessons in Crime), edited by Lilian & Karl G. Fredriksson, En bok för alla, Stockholm (2002), p. 216–252. Murder Myth-Begotten, EQMM, April 1996; Roma Sub Rosa Press Kindle • Nook • Ibooks editions, 2013. “The Eagle and the Rabbit,” in the anthology Warriors, ed. George R.R. Martin & Gardner Dozois, Tor Books, March 16, 2010; Roma Sub Rosa Press Kindle • Nook • Ibooks editions, 2013. *“The Staff of Asclepius,” EQMM, July 2016; a second previously untold episode from the journeys of the young Gordianus set on the island of Rhodes, written especially for inclusion in this 75th Anniversary issue of the magazine featuring mystery authors who made their debut in EQMM (as Steven did with the story “A Will Is a Way”). 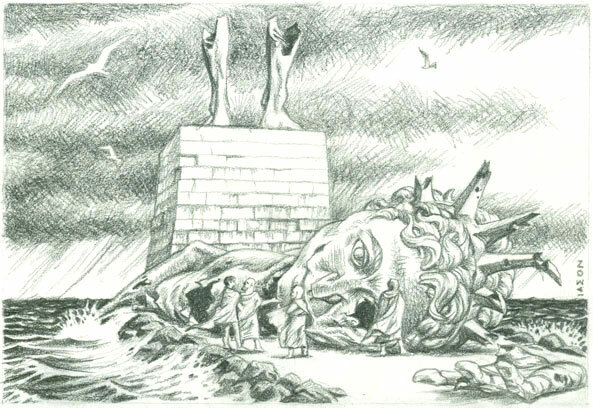 *∞“The Monumental Gaul,” Ellery Queen Mystery Magazine, August 2011; the setting is the Colossus of Rhodes in 92. B.C. *∞“The Witch of Corinth,” Fantasy & Science Fiction, July-August 2011; an interlude in the sequence, set not at a Wonder but at the ruins of Corinth in 92 B.C. *∞“Something to Do with Diana,” The Mammoth Book of Historical Crime Fiction, ed. Mike Ashley, published August 2011 by Constable & Robinson in the UK; published September 2011 by The Running Press in the US; the setting is the Temple of Artemis at Ephesus in 92. B.C. *∞“Styx and Stones,” Down These Strange Streets, ed. George R.R. Martin & Gardner Dozois, Ace Books, October 2011 (also available in the UK); published as “Estige e pedras” in the Brazilian Portuguese edition, Ruas Estranhas, published 2012 by Casa da Palavra, Rio de Janeiro; the setting is Babylon (site of both the Walls and the Hanging Gardens) in 91 B.C. *∞“The Widows of Halicarnassus,” Ellery Queen Mystery Magazine, March/April 2012; the setting is the Mausoleum of Halicarnassus in 92 B.C. *∞“O Tempora! O Mores! Olympiad!,” Ellery Queen Mystery Magazine, May 2012; the setting is the Temple of Zeus at Olympia during the Games of 92 B.C. *∞“The Return of the Mummy,” Ellery Queen Mystery Magazine, June 2012; the setting is the Great Pyramid in Egypt in 91 B.C. Amethyst, Texas, in Hometowns, ed. John Preston, Dutton, 1991; excerpted (as A World of Possibilities) in Growing Up Gay, ed. Bennett L. Singer, The New Press, 1993; Roma Sub Rosa Press Kindle • Nook • Ibooks editions, 2013. My Mothers Ghost, The Threepenny Review, Fall 1991; anthologized in A Member of the Family, ed. John Preston, Dutton, 1992; Roma Sub Rosa Press Kindle • Nook • Ibooks editions, 2013. 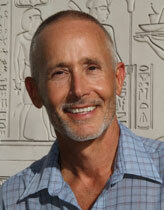 Thom Gunn: Love in the Time of AIDS, San Francisco Review of Books, March 92 (vol. 16 #4); Roma Sub Rosa Press Kindle • Nook • Ibooks editions, 2013. A Marriage Manual, Frontiers (as “Married Men”), September 24, 1993 (vol. 12 #11); anthologized in Friends and Lovers, ed. John Preston, Dutton, 1995; Roma Sub Rosa Press Kindle • Nook • Ibooks editions, 2013. Tarl Cabot Through the Looking Glass (Introduction), Outlaw of Gor by John Norman, Richard Kasak Books, 1996; posted with permission in Sept. 2007 at the Web site gorchronicles.com (registration required). Stuart Palmer and Hildegarde Withers,” Firsts: The Book Collectors Magazine, November 1996; anthologized as “Stuart Palmer in AZ Murder Goes Classic, ed. Barbara Peters & Susan Malling, Poisoned Pen Press, 1997; Roma Sub Rosa Press Kindle • Nook • Ibooks editions, 2013. Finding the Good Stuff,” Mystery Readers Journal, Fall 1999 (vol. 15 #3); Roma Sub Rosa Press Kindle • Nook • Ibooks editions, 2013. Monstrous, and True (a review of The London Monster: A Sanguinary Tale by Jan Bondeson), Philadelphia Inquirer, February 4, 2001; Roma Sub Rosa Press Kindle • Nook • Ibooks editions, 2013. A Trifle, a Little, the Likeness of a Dream... (Introduction), Death Comes as the End by Agatha Christie, St. Martins Press, April 2002; Roma Sub Rosa Press Kindle • Nook • Ibooks editions, 2013. “Know Thy Subject,” The Guardian (UK), October 5, 2002; Roma Sub Rosa Press Kindle • Nook • Ibooks editions, 2013. On Big Trucks, Bush and Bikes, The San Francisco Chronicle Magazine, Sunday, October 12, 2003; Roma Sub Rosa Press Kindle • Nook • Ibooks editions, 2013. Caesars Legacy and Its Twilight, foreword to the omnibus edition Rome at War, Osprey Publishing (London), March 2005; Roma Sub Rosa Press Kindle • Nook • Ibooks editions, 2013. “What Made the Matrons Murder? A Poison Plot in Ancient Rome,” Mystery Readers Journal, Volume 22, No. 1, Spring 2006; Roma Sub Rosa Press Kindle • Nook • Ibooks editions, 2013. “Gordianus Lives!” Mystery Readers Journal, Volume 22, No. 1, Spring 2008; Roma Sub Rosa Press Kindle • Nook • Ibooks editions, 2013. “Why I Write,” Publishers Weekly, vol. 258 issue 18; May 3, 2010; Roma Sub Rosa Press Kindle • Nook • Ibooks editions, 2013. 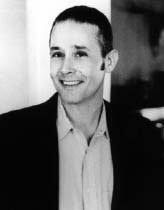 Writers Read: Steven Saylor, posted online Oct. 24, 2010. Steven shares his impressions of the novels of Valerio Massimo Manfredi, and specifically Manfredi’s thriller The Ancient Curse; Roma Sub Rosa Press Kindle • Nook • Ibooks editions, 2013. “Gods Among Us,” preface to Dawn of the Gods, a collection of male physique photography by Louis LaSalle, published by Bruno Gmunder, March 2013. “A Lacuna in the Incunabula, or Oedipus Rex, Mother (-Lover) of Us All,” a presentation at the conference “From I, Claudius to Private Eyes: The Ancient World and Popular Fiction” at Bar-Ian University, Tel Aviv, Israel, 16 June, 2014. “Who Wrote the First Whodunit?” posted Nov. 12, 2014 at somethingisgoingtohappen.net. Foreword to Marcus Agrippa, Right-Hand Man of Caesar Augustus by Lindsay Powell, Pen & Sword, UK, 2015. When in Rome…Eat as the Romans Ate,” Mystery Readers Journal, Volume 31, No. 1, Spring 2015. Foreword to A Roman Death by Joan O'Hagan, Black Quill Press, 2017 (new edition of the novel originally published in 1988). “Ides of March: Beware!” posted February 20, 2018 at CriminalElement.com. “Ides of March: Relevant, Whether You Like it or Not” posted March 7, 2018 at somethingisgoingtohappen.net. “Beware! The Ides of March Is (or Are?) Coming” posted March 8, 2018 a quickandirtytips.com. Future, Present, Past includes the short stories “Insecticide,” “Murder Myth-Begotten” and “The Eagle and the Rabbit.” Roma Sub Rosa Press Kindle • Ibooks • Nook editions, 2013. My Mother‘s Ghost includes the essays “My Mother‘s Ghost,” “Amethyst, Texas,” and “A Marriage Manual,” and the short story “Kinder, Gentler.” Roma Sub Rosa Press Kindle • Ibooks • Nook editions, 2013. A Bookish Bent includes the essays“Thom Gunn: Love in the Time of AIDS,” “Stuart Palmer and Hildegarde Withers,” “Monstrous, and True,” “A Trifle, a Little, the Likeness of a Dream…,” “The Strange Allure of VMM,” “On Big Trucks, Bush, and Bikes,” “All Roads Led to Rome,” “Finding the Good Stuff,” “Caesar’s Legacy and Its Twilight,” “What Made the Matrons Murder?,” “Gordianus Lives! (Beware of Spoilers),” “Know Thy Subject,” and “Why I Write.” Roma Sub Rosa Press Kindle • Ibooks • Nook editions, 2013. 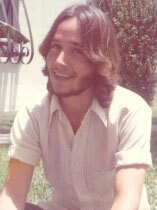 Ricardo Vigueras Fernández, Breve introducción a la novela policiaca latina, Universided Autonoma de Ciudad de Juárez, Mexico, 2009. This book draws on the author’s previous research for his Doctoral Thesis, La novela policiaca de temática romana clásica. Rigor e invención (which can also be viewed here), a study of the novels of Steven Saylor, Ron Burns, and Joaquín Borrell, submitted to la Universidad de Murcia, Spain, in 2005. Barry Forshaw, The Rough Guide to Crime Fiction, Rough Guides, 2007 (includes an entry on Steven Saylor and his sleuth Gordianus the Finder). 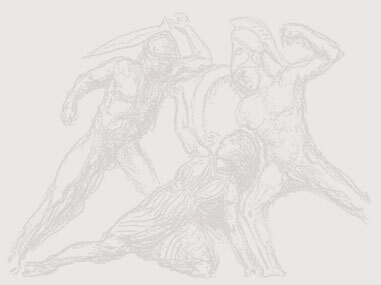 Rosmarie Günther, “Römische Ermittlungen,” an article comparing the works of Saylor, Roberts, Davis and Stöver, in Die Antike außerhalb des Hörsaals edited by Kai Brodersen; Münster: Lit, 2003, paperback; a collection of papers about mysteries from a conference at Mannheim University. Annette Korthaus, “Mord in Rom: hard-boiled detectives im modernen historischen Kriminalroman,” in Crimina: Die Antike im modernen Kriminalroman edited by Kai Brodersen; Berlin: Verlag Antike e.K., 2004; a collection of papers about mysteries set in the ancient world, from a colloquium at Mannheim University; the book is reviewed here. Terrance L. Lewis, “John Maddox Roberts and Steven Saylor: Detecting in the Final Decades of the Roman Republic, in The Detective As Historian: History and Art in Historical Crime Fiction edited by Ray Broadus Browne and Lawrence A. Kreiser, pp. 22-31; Bowling Green University Popular Press, 200o. Robin H. Smiley, “What Caesar Saw,” Firsts, volume 5, number 11, November 1995; P.O. Box 65166, Tucson, AZ, 85728; a magazine devoted to collecting first editions of modern books; 12-page article surveys the more popular selections in the genre providing information about the current market values of the various first editions, photos of most of the covers, and short plot descriptions. Works by Irwin, Davis, Roberts, Burns and Saylor are mentioned.